Yesterday, Oculus VR finally announced the price of its first consumer virtual reality headset: $599, plus shipping. Fans reacted quickly, shocked that the price was twice as much as the original developer kit and furious that the company was charging so much. During Palmer Luckey's evening AMA on Reddit, fans were petitioning the company to remove the Rift's audio tech and packaged Xbox One controller to bring the price down. That's denial, anger and bargaining, guys. Let's skip the fourth stage of grief and jump to the end: acceptance. The Oculus Rift's launch price is completely normal. I know you're upset, but think about it for a minute: New technology isalways expensive, often prohibitively so. Remember how much the original iPhone cost, back in 2007? It was priced at $600 with a two-year contract. The first-generation Kindle: a shocking $400, and it wasn't even a Paperwhite. Three years ago, a 55-inch 4K TV would have set you back $5,000 -- now better sets can be had for a little over a grand. That's the cycle: New technology enters the market at a premium price that drops with each subsequent generation. Today the lowest-end Kindle costs less than $80. Okay, a new iPhone will still cost you over $600, but at least you don't need to sign a contract anymore. This logic can be hard to swallow in the face of Oculus VR's own release history. The original, Kickstarter-funded Rift development kit sold for a mere $300, and its higher-resolution follow-up only cost developers $350. Doesn't that break the model? Not really, so long as you have the proper context. There's a vast difference between what was inside of those development units and what Oculus put into the final consumer Rift. This is going to get a little technical, but hear me out: The first two Rifts were built mostlyfrom off-the-shelf components and surplus smartphone screens. 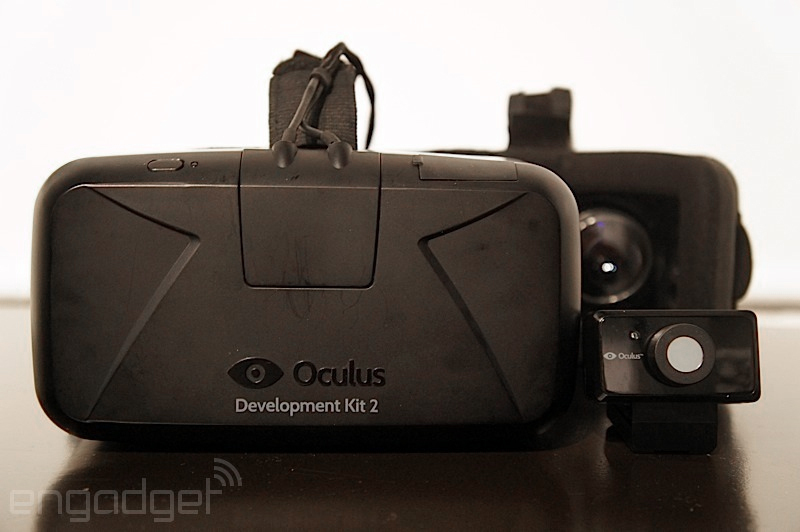 "These are devkits," Oculus founder Palmer Luckey told me in 2014, after launching the Rift's second developer unit. "Do not buy! Do not buy!" He calmed himself, assuring me that the DK2 was good but it wasn't good enough for consumers. "People don't have experience with this technology," he said. "When it arrives, it has to be good." Oculus VR had been selling developer kits at a loss, and were getting worried that the prototype's flaws would ward off cautious consumers. One of the reasonsthe company sold to Facebook was to make sure it had the resources to build a better Rift.